Proudly providing building products and services to North Texas since 1960. 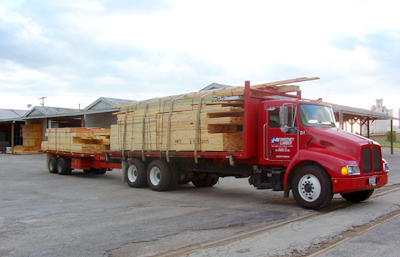 Located in Fort Worth, Sweeney Lumber is known for a diversified product line and a leader in excellent customer service. Being a member of the Lumbermen’s Association of Texas, National Association of Homebuilders, and the Structural Building Components Association allows Sweeney Lumber to be up to date on the current trends in the homebuilding industry. Please browse our products page for a list of the building products and trusses we can provide to you. Contact us and let one of our knowledgeable sales staff assist you.